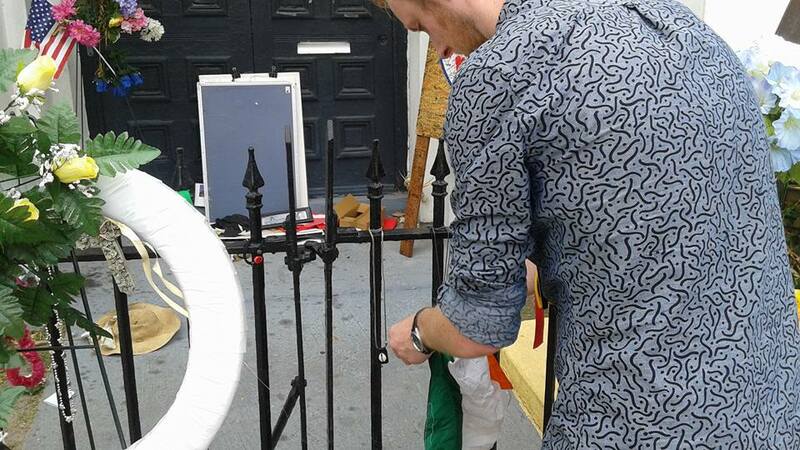 The above quote is what I decided to write on the Irish flag in the photo above. I was at the front gates of the church in Charleston, South Carolina which had been the scene of a horrible mass shooting just a few weeks previously. The quote itself was first spoken by Reverend Martin Luther King, Jr., a man who found purpose in preaching peace, a man who above all desired racial equality – a man who had a picture of his hero, Mahatma Gandhi, hanging on his kitchen wall, overlooking the place he and his family ate dinner together daily. King himself was assassinated by a crazed gunman in Memphis, Tennessee in 1968. I had the chance to visit the scene of his death during my summer spent in the Deep South of the United States, a place quite frankly obsessed with guns, and a place with a dark history steeped in racism that is frighteningly prevalent in some areas even today. 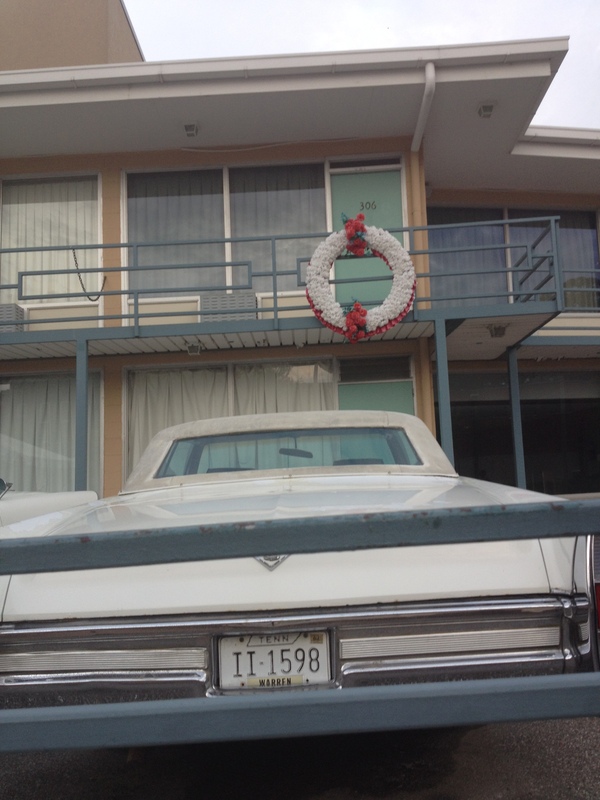 The scene of Martin Luther King, Jr.’s assassination – Room 306 at the Lorraine Hotel in Memphis, TN. Events in Paris overnight have forced me into this post, but terrorist attacks like that which has killed well over 100 people in the French capital are becoming alarmingly common. The group ‘Daesh’, who refer to themselves as the ‘Islamic State of Iraq and the Levant’ (ISIL) have claimed responsibility for the attacks and they have got what they wanted – 24-hour media coverage and witness statements that convey the brutality of what happened last night. All of this occurred not quite 24 hours after the Pentagon announced the targeting in a drone strike of Daesh leader Mohammad Emwazi or ‘Jihadi John’, a Kuwaiti-born British citizen who has appeared in many propaganda videos for the terrorist group in which he has been seen executing Western hostages. Living in a relatively peaceful and certainly neutral country like Ireland, it is very easy to look at events abroad and ignore them. We see reports of daily bombings in the Middle East. Children are being killed every day by bombs in Syria. Just this week over 40 people died in a bombing in Beirut. All of this is told to us on the Six One news, and it is hard not to feel helpless. We hear of constant gun violence in America, to the point where our collective reactions are now one of “No surprises there.” Terrorist attacks in cities like Madrid (’04), London (’05) and two attacks in Paris (’15) bring the bloodshed that bit closer to home. The Troubles saw terrorist organizations kill hundreds of innocent civilians on this very island – in fact a bomb in my hometown of Monaghan, where I write this now, killed 7 innocent people in 1974. It is important to accept however that this is something happening daily all over the world. And that is so very wrong. The Pale Blue Dot- planet Earth. 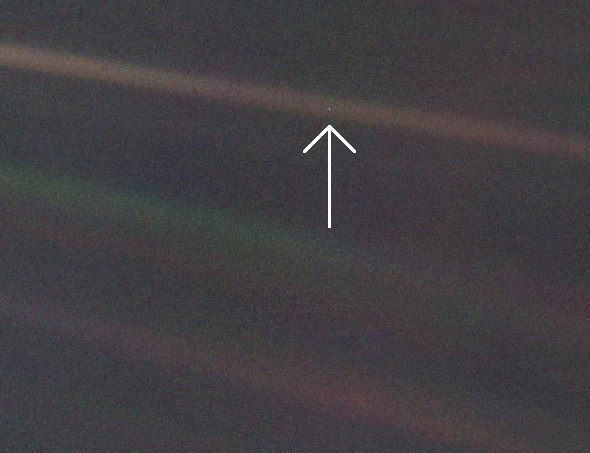 The above photo of Earth was taken by the Voyager 1 space probe 25 years ago, at a distance of about 6 billion miles. A robotic craft turning its cameras around to snap a farewell photo of its planet of origin. On that tiny insignificant speck is everything and everything we have ever known. I have interviewed many astronauts who have covered the entire planet with their thumb as they orbited and even walked on the Moon, and yet here we are killing each other on a daily basis in the most cruel and inhumane of ways. I use the word ‘inhumane’ but what the hell does that mean? On days like this it is impossible to comprehend the sheer evil our race can sometimes display. Men shooting aimlessly in restaurants and theatres before blowing themselves up. Innocent aid workers, journalists and other good people being beheaded as a spectacle intended to strike fear into all those who dare disagree with the perpetrators’ twisted ideals. We live on a fairly unremarkable planet, that just happens to be orbiting a fairly unremarkable star at the perfect distance, in a fairly unremarkable galaxy, in an infinite universe. Politics and religion should not come into it. Blood-thirsty and brainwashed men and women are waging war, and after last night, it is likely France and her allies will respond in turn. 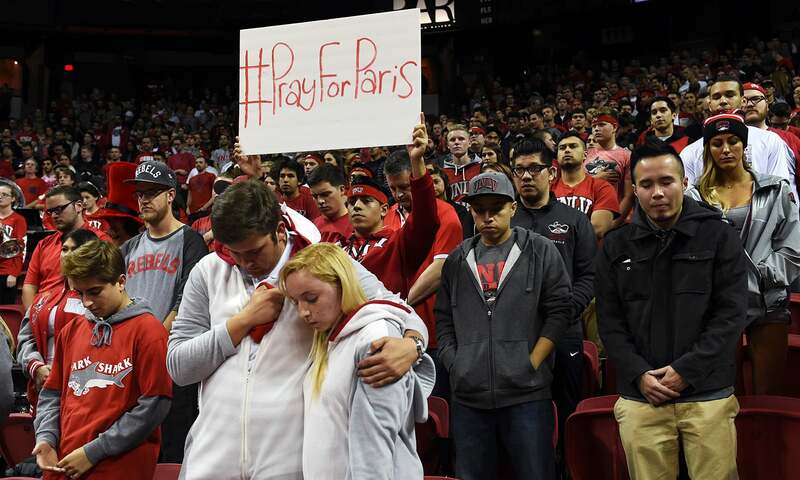 The television pictures are hard to watch and it is horrible to think about the amount of lives lost and changed after the massacres in Paris. The terrorists will not win because they cannot win. Innocent lives have been lost but it will only serve to strengthen the resolve of those morally opposed to murder. They are a cruel minority trying to derail proper order, a thorn in the side of those who strive for peace or even just a bit of normalcy in the world. Nous n’oublierons jamais – we will never forget. Hi ! This post is very well written and most of all perfectly true. As a french student, I am a complete wreck this Friday night. I fall asleep with tears in my eyes and wake up with wet eyes too. I don’t know when the world started to be such a mess, or if it even has ever been a tidy place, but I know for sure that it won’t become any better soon. ‘I see humans but no humanity’ is a quote that sums up the recent events too. This is only the beginning of the war and French people know it. We knew other attacks would occured, we just didn’t know when. And we know it will happen again. And that’s the saddest part of it. Feeling powerless, disorientated, empty. Let’s also think strongly about each victims of war everywhere in the world, not only in western countries, please.